Quickly and efficiently cut through pipes, rods, copper, plastics, fiberglass, bars and even 16 gauge sheet metals with the Unimac Air Metal Saw & Shears, an exclusive offering only from Edisons. Unlike inferior products, these tools have compact and lightweight designs with minimal vibration in order to give the user fuller control. More importantly, they are easy to use and make light work of cutting tight circles and curved surfaces. Though the Unimac Air Metal Saw & Shears have lightweight aluminium bodies, they are built tough and can be used even for the most intricate and demanding tasks. No wonder they are easily the favourite of many panel beaters, sheet metal contractors and home workshop owners. 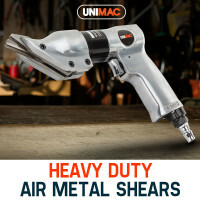 Unimac Air Metal Saw & Shears have many practical features that are highly convenient for the users. Things like the adjustable blade guide depth, rubber casing for a secure grip and safety lock to prevent accidental start are just few of the many features which would make things easier to the user. Built with standard features, you can easily and effortlessly change blades anytime, anywhere. Whether you are planning to trim, outline or shear a sheet, you can always depend on the Unimac Air Metal Saw & Shears to deliver optimum performance and results. Use them daily to clean cut cold rolled steel in your machine shops, sheet metal business or auto body workshop. Indeed, they are the perfect addition to any workshop. Aside from sheet cutters, Edisons also offer other important power and hand tools. These include an extensive selection of Nail Guns, Grease Guns, Impact Wrenches and Impact Drivers. Also available are different kinds of Engraving Tools, Grinder Kits, Angle Grinders, Tool Sharpeners and Jackhammers. 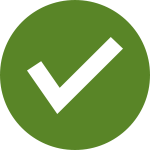 Always go for high quality, high performing and high precision tools for your workshop. 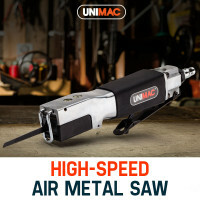 Order Unimac Air Metal Saw & Shears today!